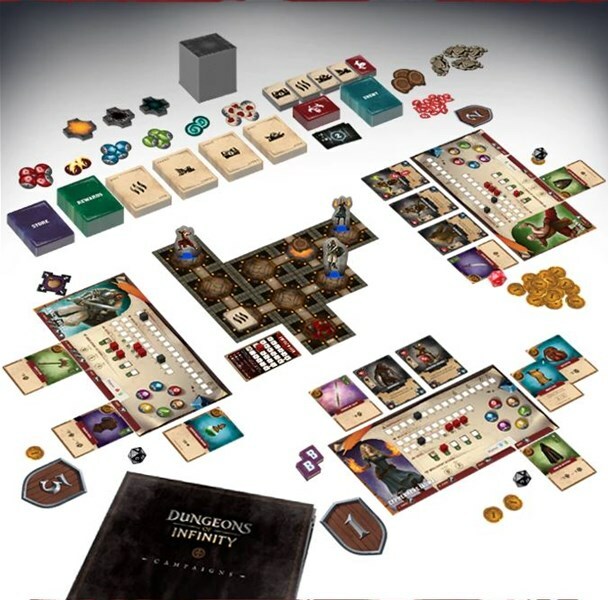 Dungeons of Infinity is a board game for 1-5 players set in a mythical kingdom ruled by King Armiger. His land is full of dungeons built in the distant past. He recruits teams of Heroes to delve into the many dungeons to free the land from the evils that lie within. You enter the unknown dungeon as the hunter. Turn by turn, the dungeon reveals itself to your party. You must adapt your strategy; choose when to forge ahead, or when to step back and regroup. The dungeon can be unforgiving, and even in competitive play you might find it necessary to forge alliances to survive. Your team makes noise as they explore. The more noise they make, the more they risk awakening the dark evil that lurks within. Soon you realize that you have become the hunted. The campaign's about 1/2 to its goal with 22 days left to go.